This year’s edition of the Toronto International Film Festival was already shaping up to be excellent, and today’s announcement of the fest’s famed Midnight Madness section adds two sequels we’ve been talking about quite a bit on The A.V. 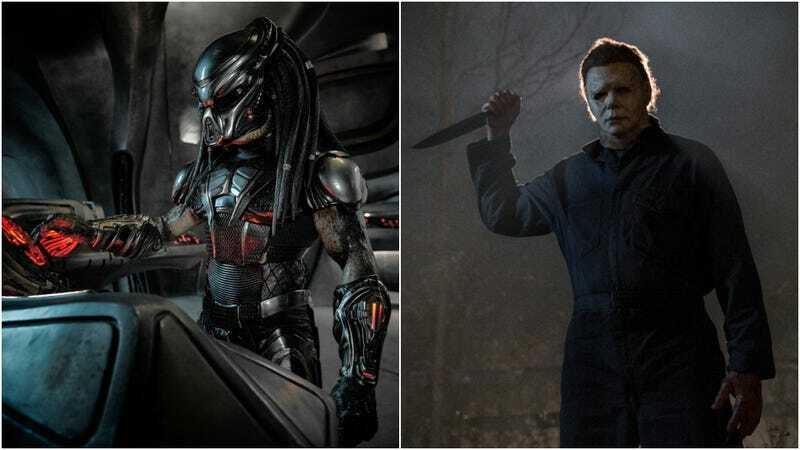 Club: The world premieres of David Gordon Green’s Halloween and Shane Black’s The Predator. Both films were recently hyped at the San Diego Comic-Con, where Black premiered some footage of bloody, R-rated Predator-on-Predator action and Halloween star Jamie Lee Curtis had a moment with a fan who told her that channeling the spirit of Laurie Strode literally saved his life in a home invasion. These premieres further solidify TIFF as Hollywood’s favorite film festival, with equally anticipated (but probably less bloody) titles yet to be announced in the festival’s Masters lineup. Our own A.A. Dowd will once again be on the scene, with early reviews of these and more films. The Predator opens wide on September 14, followed by Halloween on October 19. Whether this team-up portends a revival of the Vs. movies in the form of Michael Myers Vs. The Predator remains, sadly, simply idle speculation.